Data breaches have become a common cybercrime now. Companies are now investing money in the security of this data than in research and development. But Microsoft has a different story to tell. The company released its statements stating that the data of millions of individuals is safe and rather is in the hands of the customer only. The data is protected by enterprise-grade security solutions. If you are not using Microsoft Office 365, then use VPN for Windows to ensure online security. 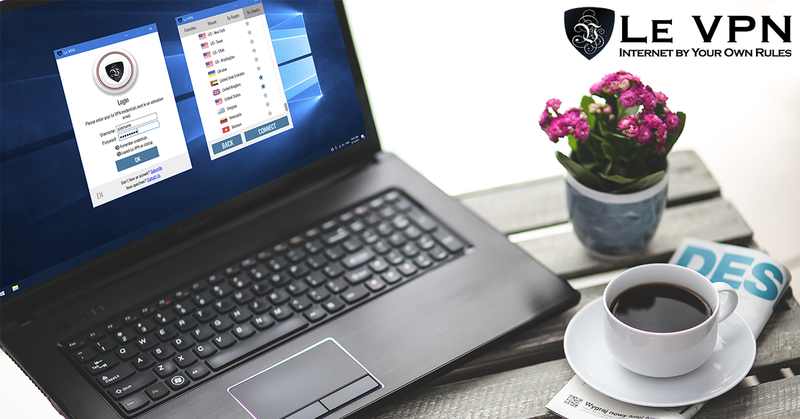 However, always pick a reliable VPN provider over free VPN for Windows. The next big thing is Microsoft 365 – an intelligent solution including Office 365, Windows 10 and enterprise mobility and security that the company has recently announced. There are about 120 million “Commercial Cloud” users around the world. Of this, more than 29 million use Office 365 enterprise. And it is Microsoft’s responsibility to keep the data safe. The free proxy server will mask the original IP address of the user and replace it with some random public address. This will help to make the cyber identity of the user anonymous. The option of the user being tracked down by various cyber organizations then rules out. This is very similar to a VPN service. Additionally, it is better to not indulge in free offers by various VPN companies. The majority of the time, such offers turn out to be a fraud. Rather, it is best to get some decent VPN like Le VPN that offers the money back guarantee if the services are not up to the mark. Your data gets high standard encryption. As a result, it helps to keep the faith intact in the customers. So, now you know the list of benefits offered by Le VPN. Simply subscribe and start using a secure internet connection. Grab the Le VPN Spring Special offer. Subscribe to Le VPN’s 2-year plan for $69.60 or $2.90/month.